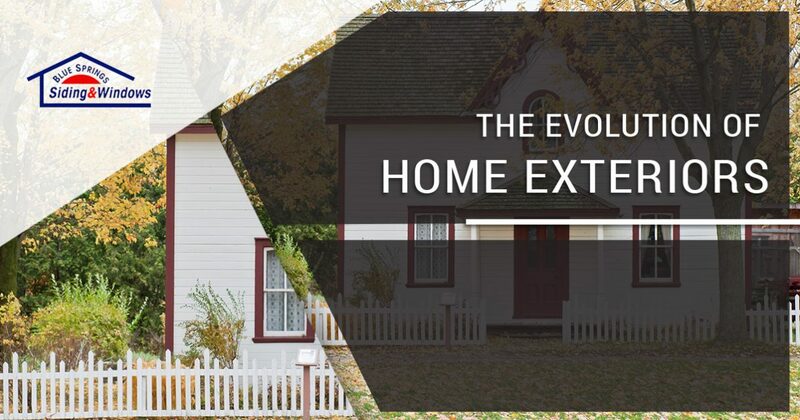 Home exteriors have come a long way over the centuries. Although many traditional building methods still have merit, technological advances make options like next-generation vinyl siding a cut above the rest. 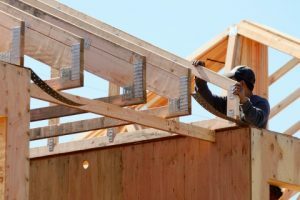 You never know what the weather will bring in Kansas City and the surrounding areas, so these new building materials are nothing short of a godsend. In today’s post, we’ll provide you with a brief history of home exteriors as well as a bit of history about the origins of vinyl siding. When you’ve finished reading this post, get in touch with a member of Blue Springs Siding and Windows to request a free siding installation estimate! You can reach us by calling 816-629-6270 or by filling out the form at the bottom of this page. We look forward to speaking with you soon! As you might imagine, residential construction in the Neolithic Age, or New Stone Age, was pretty primitive compared to contemporary home siding options. Although housing was sometimes made from tree bark or animal bones and skins, this era marked the beginning of some pretty sophisticated construction methods. People began using prefabrication and surveying when building homes during this period, and this is the age when Stonehenge was erected. While many building techniques were developed in ancient Rome, Greece, Egypt, and other civilizations, the Middle Ages, Renaissance, and Industrial Revolution were the next periods to bring about big changes in residential building methods. From the thatched-roof houses of Medieval times to Renaissance-era wood-plank production, construction methods evolved in terms of material but still remained relatively basic. Mass production and the transportation boom brought bigger changes, bringing luxuries like window panes to the average home. Now we’ll fast-forward to the mid-twentieth century, when home siding choices evolved from wood, veneer, aluminum, and shingles to include vinyl siding. While this was exciting news for home builders and homeowners alike, the quality of this new siding left a lot to be desired. Colors faded and chipped quickly, and the material didn’t stand up to the elements. For instance, some vinyl siding would melt during the hottest days of the summer! 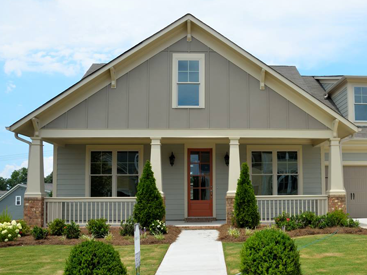 It wasn’t until the 1970s that this type of siding became durable and colorfast. Vinyl siding will now retain its color and luster for years with easy annual maintenance, and the thermal capabilities of today’s vinyl siding are vastly superior to older iterations. Moreover, because vinyl is such an effective siding material, new technological developments mean that the technology will only become better and more affordable over time. While vinyl siding has humble roots, it is now considered an attractive, low-maintenance siding option that delivers exceptional value. You can even get the look of wood or shingles without the accompanying wear and tear, and you’ll love the number of options from which you can choose. Be prepared for whatever type of weather comes your way in Kansas City and the nearby areas by investing in a vinyl siding installation from Blue Springs Siding and Windows! We’ll help you take on all four seasons with vinyl siding in a style that’s just right for your home’s architecture. 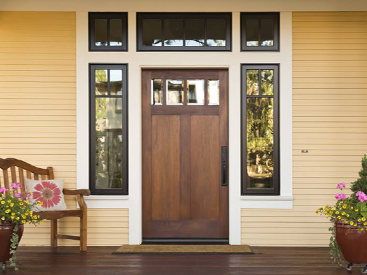 Whether you opt for vertical or horizontal, wood-look, or your favorite color, we’ll help you find a smart choice for your home’s exterior that doesn’t exceed your budget. Contact Blue Springs Siding and Windows for a siding installation that will look beautiful for many years to come! 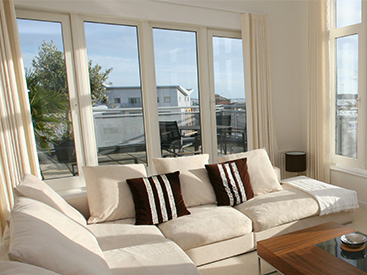 With a lifetime warranty on all of the products and services we offer, we provide you with the reassurance you need to invest in your home.